Cat-like - yes; barkless - no. Many people also confuse the Shiba Inu dog breed with the Basenji dog breed because the two breeds are somewhat similar in appearance. The Basenji dog is known for being barkless, which is another one of the reasons people may think that Shiba Inus don't bark. As many Shiba Inu owners have proven through social media videos, pictures, and recordings, the Shiba Inu is a loud, vocal breed that can create some rather head-turning utterances. Shiba Inus are normally quiet dogs that are perfect for apartment living. They tend to bark only when barking is necessary or when they are very happy - or very mad. 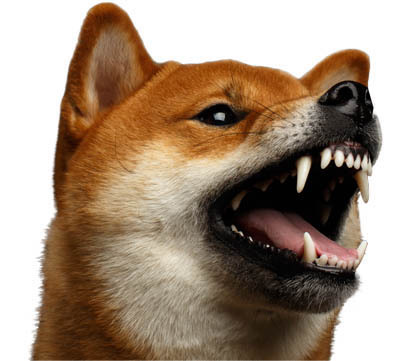 The Shiba Inu bark is sharp and clear, more of an abrupt alert rather than the ankle-biter yapping many people try to avoid. You will notice that certain stimuli prompt the Shiba Inu to bark more than others. Many owners will often say that barking is spurred by something outside making the Shiba Inu go on guard, such as a stranger entering the yard, approaching the front door, or generally anything that trips their watchdog trigger. In addition to the typical dog bark, Shiba Inus can also vocalize a variety of other sounds. You can anticipate to hear a variety of grunts, grumbles, burps, whistles, and yodels coming from your Shiba Inu. Another dog that is similar with the range of utterances it can make would be the Siberian Husky, who not only barks but makes a number of noises that can even sound like spoken words. How often you hear these various grumbles and grunts depends on the individual dog and how you react and respond to the sounds. If you decide to reward or respond to the vocalizations, then there is a high chance your Shiba Inu will be more outspoken than a dog who is met with silence or reprimands. 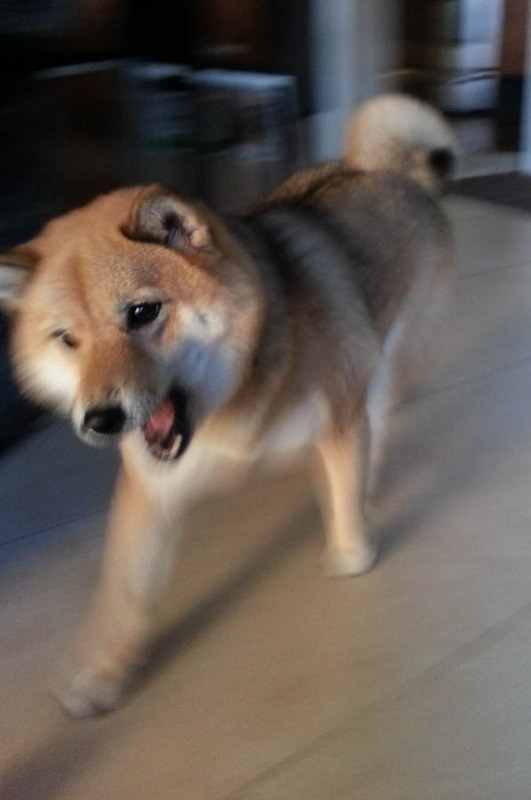 The fearsome Shiba Inu scream is a legendary vocalization that the breed may emit when it has been startled or is acting like a Drama Queen or King. The high-pitched shriek can be alarming the first time you hear it, but afterwards, it becomes something worth laughing at quite frequently. The Shiba Scream is thought to be comparable to a howl, a form of communication that is used to reach the ears of other dogs that may be within the area. Still, the Shiba Scream isn’t a technical bark. You can expect more screaming and howling over barking, to be honest. 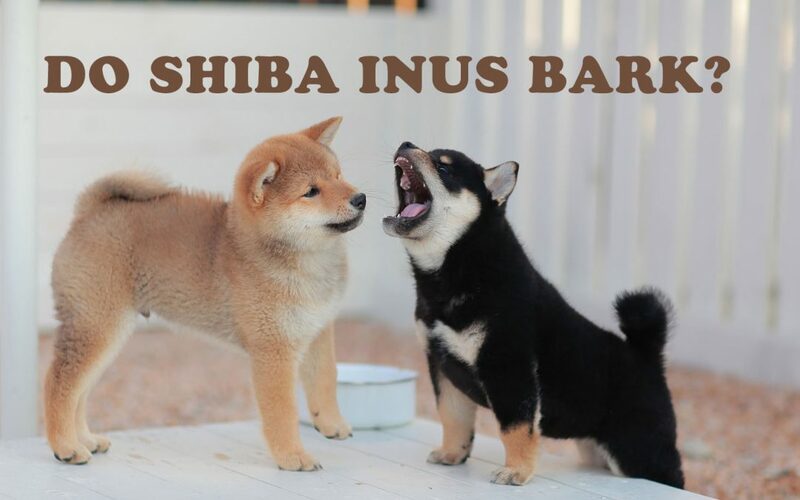 So, to answer the question of whether or not Shiba Inus bark, the answer is that yes, they bark, but not often. 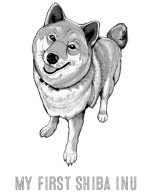 It truly depends on the situation and how the Shiba Inu is perceiving the circumstances. If the dog feels threatened or alarmed, they will indeed start to chortle, bark, and scream. Shiba Inus may not have a powerful bark like a German Shepherd, or an annoying bark as lapdogs have - but they do indeed bark.